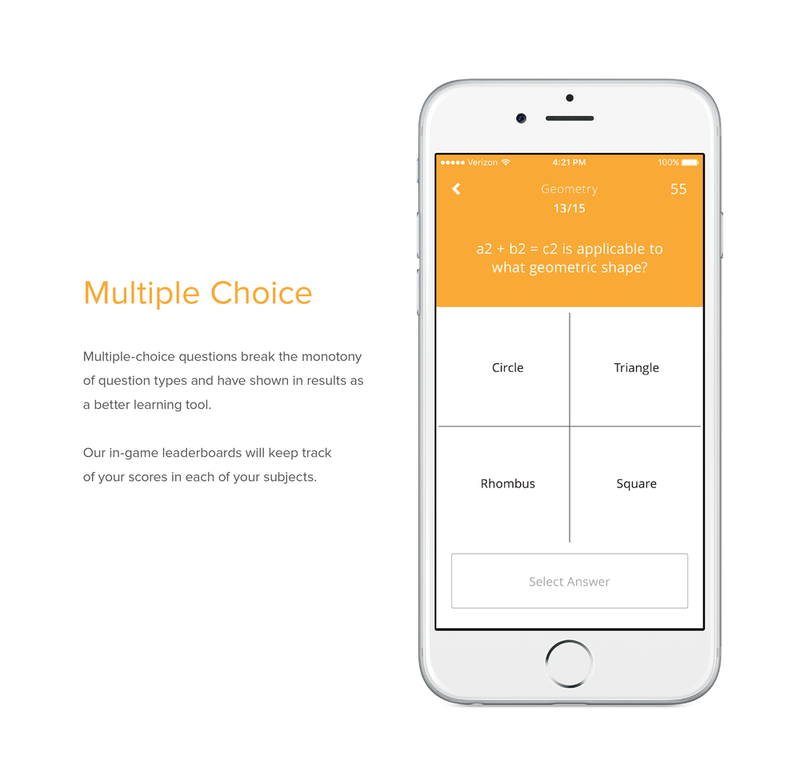 With over 10,000 questions in multiple question types and constant updates. Upload your own user-created questions and join the community. Early exploration of game play scenario, asking the question of what would be a better user experience. As I started finding good solutions for each feature, I moved into designing high fidelity mockups. These mockups kicked off the design process- focusing on color, style, iconography, and general aesthetics. The single-page website gives a quick overview of the game, showcase some common screens and direct the user to the app store for purchase.